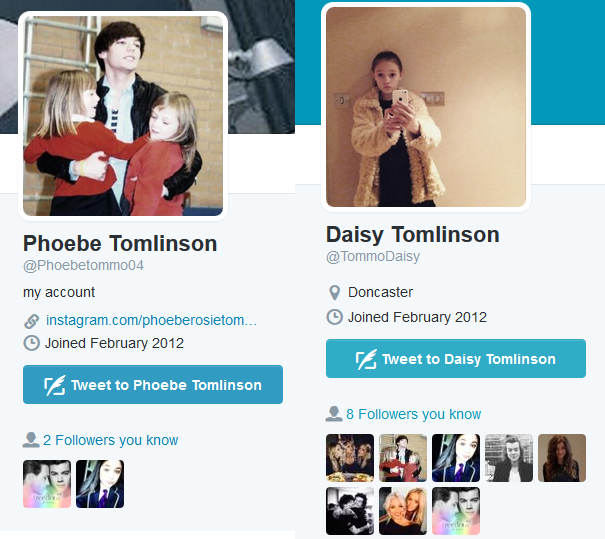 I have written several posts about Phoebe and Daisy's twitter accounts. This one just adds to the confusion. 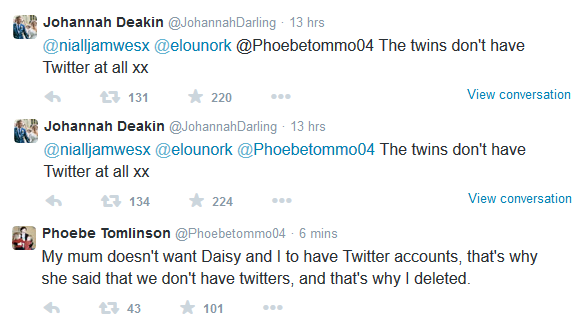 (i posted jay tweet twice to show that phoebe's account was deactivated and then reactivated following her tweet). 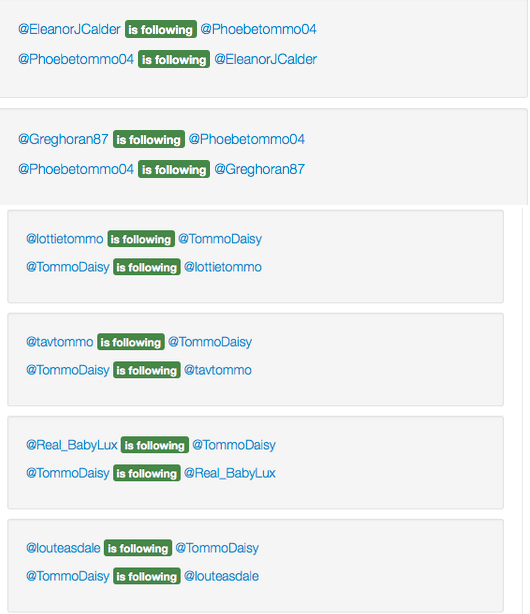 Funny thing: I have proved in one of my other posts about this topic, that Lou, Eleanor, Mark, Greg, Lux and Lottie followed the twins. ( i don't see the point of proving any further that she lost followers, you can check). Shady shady shady. Because Mark @'ed them both more than once over a year ago. I have posts linked in my other posts that prove that they are real accounts, basically. This whole twins-on-twitter things is getting completely ridiculous and i don't even know what any of it means. It just seems so shady it's worth writing about.